FULL TEXT message of Archbishop Eamon Martin, Primate of Ireland: My brothers and sisters, as 2018 begins, I wish you, your family and all your loved ones the gifts of hope, love, and “life to the full” in the New Year. On 1st January this year, the Feast of the Motherhood of Mary, Pope Francis said that calling Mary: “Mother of God” reminds us that, in Jesus, God became a living human being. 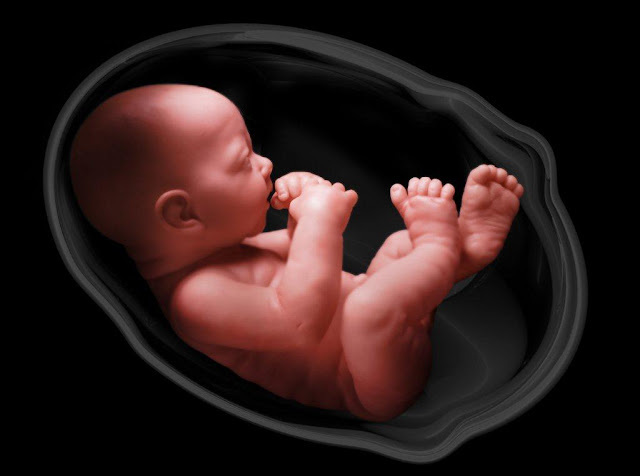 God is therefore intimately close to humanity – as close as a child is to its mother in the womb. This is miraculous, Pope Francis said human beings are “no longer alone”. God is with us. In “the frail and infant God resting in his mother’s arms”, we see a “reflection of ourselves” and realise that “humanity is precious and sacred to the Lord”. Just before Christmas the Joint Committee on the Eighth Amendment of the Constitution submitted its report to the Oireachtas. In the name of “modernising healthcare”, the Committee proposes a very liberal abortion regime, including unrestricted access to abortion up to twelve weeks, and, thereafter during pregnancy, very broad grounds for abortion and access to abortion. It is falsely claimed that wide access to abortion will mark Ireland out as a “modern” country, placing the needs of women “at the centre”. Abortion ends the human life of an unborn girl or boy. It deceives women – and men – by creating a culture where the decision to end the life of an unborn child is portrayed as simply a matter of individual “choice”. Since the introduction of the 1967 Abortion Act in Britain there have been almost nine million abortions. One-in-five pregnancies in Britain end in abortion; one-in-four in Sweden. International experience shows a similar trend elsewhere. Are these the so-called “modern abortion regimes” that Ireland is seeking to emulate? Regarding medical intervention, Catholic teaching is clear: where a seriously-ill pregnant woman requires medical treatment which may put the life of her baby at risk, such treatments are ethically permissible provided every effort is made to save both the mother and her baby. Such an intervention would be different from an abortion, which is the direct and intentional taking of the innocent life of the unborn. Please pray earnestly with me that Ireland will “choose life” and that the lives of all women and their unborn children will always be loved, valued, welcomed and respected in this country. • Archbishop Eamon Martin is Archbishop of Armagh and Primate of All Ireland. This pastoral message has been distributed to the parishes of the Archdiocese of Armagh which covers the counties of Louth, Armagh, half of Tyrone and parts of Meath and Raphoe.